Licensed and Recognized by the State of Utah & Utah Department of Higher Education. Receive the education and experience you deserve! Experience the balance that comes from Foot Zone Therapy. Attitudes and Dis-Harmony melt away. Find the peace that comes from Jin Shin Jyutsu®. Release Trapped Emotions and Breakdown Heart-Walls. Not in the Centerville Area? View our Directory of Certified Practitioners. Welcome to Mind Body and Sole! I believe that in order to be whole, complete, happy, and healthy, we need to nourish our Spiritual, Emotional, Mental, and Physical bodies. On the pages of my web site, you will find information to help you do that. I’ll share information on health & wellness, essential oils, energy therapies, and foot zone therapy. From time to time, I’ll share a spiritual thought or insight with you. I’ll include information on seminars, classes, and conferences that may be of interest to you. Hopefully, I’ll arm you with the tools you need to bring homeostasis to your life. Please remember, the information I share with you will be things that have worked for me, my family, and my friends. I am not a medical doctor and cannot prescribe or diagnose. I received my Certification as a Foot Zone Practitioner in 2010 and as a Foot Zone Instructor for We Do Feet Seminars in 2012. I received my accreditation as a Jin Shin Jyutsu Practitioner in 2014 and as as a JSJ Self-Help Instructor in 2014. I received my certification as an Emotion Code Practitioner in 2016 and have completed training programs for other energy modalities as well. I have been a Certified Nutritional Therapy Practitioner since 2017. I believe learning is a life-long pursuit and have studied health, nutrition, vitamins, supplements, herbs, essential oils, and homeopathy and will share with you what I have learned and what the traditional uses of these modalities have been. Please use due diligence and common sense before choosing to apply them or use them in your life. If you have questions about anything on my web site, want information on a particular subject, or want to share something that has helped you, please feel free to contact me. I would love to hear from you. Foot Zone Therapy is an modality that utilizes ten energy pathways discovered by Dr. William Fitzgerald in the early 1900’s. By stimulating signals on the feet that correspond to body systems, organs, and parts, a message is sent to the brain to bring that particular body part into balance. As the body begins to balance itself, homeostasis occurs. Jin Shin Jyutsu® is a Japanese energy modality that was rediscovered by Juro Muri in the early 1900’s. Our bodies contain several energy pathways that feed life into our cells. Jin Shin Jyutsu® is the Art of releasing tensions within the energy pathways which are the causes for various symptoms in the body. Jin Shin Jyutsu® Practitioners harmonize the flow of energy through the body by placing their hands on safety energy locks that are arranged in pairs on each side of the body. Jin Shin Jyutsu® has been incorporated into Integrative Health programs at various hospitals around the country. The Emotion Code® is an energy modality developed by Dr. Bradley Nelson DC as a way to identify and release hidden and trapped emotions and heart-walls that may be causing pain or preventing you from moving forward in your life or career. Using applied kinesiology, hidden and trapped emotions are identified, relevant identifying characteristics are discovered, and then the emotion is released. 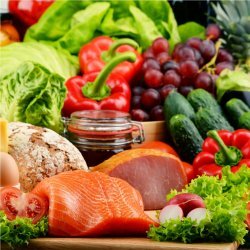 Nutritional Therapy is an evidence-based approach to health that uses an assessment process to identify imbalances in body chemistry which are corrected through diet, lifestyle changes, and targeted nutrients. Would you like to have the tools to help your family and friends lead happier, healthier lives? The beginning of a beautiful transformation is only a few days away! Let me help you on your journey toward becoming a Certified Foot Zone Practitioner! The 2019 Spring Semester begins February 14-16! Jin Shin Jyutsu makes me feel "right". In a Jin Shin Jyutsu session I can feel, and sometimes even see, the energy in my body shifting then flowing the way it is supposed to. 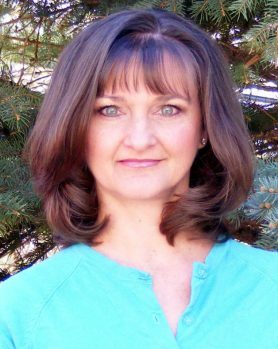 Kathy is amazingly talented and knowledgeable in her ability to help her clients heal and release unhealthy energy. I love Kathy and the amazing work she has done to help me feel right! I had much pain in my hands, wrists, and legs. I wanted a more natural method for healing because the doctors just wanted to suppress my immune system. 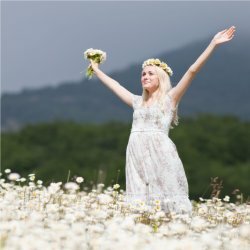 I knew my illness had to do with some emotional issues so looked for a method that could help energize and heal my physical body and also address my emotional well-being. Foot zoning has been great; I am almost completely better which is amazing since I had some noticeable damage in my hands/joints from the inflammation. Kathy is a very gifted, skilled, and intuitive practitioner. She is also very generous in her desire and approach to helping people. Her combination of creating a relaxing environment with music and her own gentle personality, using her intuitive skills to find what is needed at the respective session to best serve the individual with what oils to use and also where attention is needed to move energy is wonderful. Foot zoning feels great, and it works! I began using foot zoning a while back here and there, but after being in and out of my chiropractor’s office and spending hundreds of dollars I felt inspired to use foot zoning to treat my lower back pain and sciatica. It was interfering in my life. After just a couple of zone sessions I had relief from the sciatica and have not experienced it since then. For as long as I can remember I have had back problems and feel like I am finally “healed.” It is wonderful! “I also most recently used foot zoning to aid in helping me through depression. The combination of medicine and zoning has allowed me to regain my mental strength as well as my emotional strength. I believe 100% in foot zoning as it has personally helped me in my life. A foot zone session is a relaxing time where I can calm my mind, body, soul, and soles. I leave with a peaceful energy that allows me to be the very best person I can be and a calmness that I need on my life journey. I had to write and tell you, after my zone on Friday I woke up on Saturday and had started my cycle after 3 months of not having one. I knew I was feeling much better after I left, but I was completely shocked at how much better I would be feeling. You are amazing. Thank you so much. I am looking forward to my next session. Thank you! For me the foot zoning process is quite unique… I typically find it as relaxing and enjoyable as a full-body massage, though only my feet are fully involved. My body seems to melt into the chair, tension slips away, and it’s as if all of me says, ‘ahhhhhhh…’. “After a zone I feel calm, energized, and – curiously – somehow reassured about myself and life. Kathy has a highly intuitive approach to zoning that is reflected in her touch and her use of essential oils; changes seem to take place in me that are meaningful and subtle during and after. “The zoning seems to create healing, physically and emotionally. Most often the healing seems to come from deep inside, as if energy blocks have been removed so my body can restore equilibrium and heal itself. “And the conversation with Kathy is always delightful too. My son had really bad anxiety, fears, and low self esteem. His anxiety and fear of the wind was dibilitating, so much so, that he had quit going outside. We started taking him for weekly foot zones last summer…Amazing results! He now acts like a healthy, active, normal eleven year old. Playing with his friends, going outsisde to play and feeling really good about himself. He doesn’t tense up if he has to walk home from school anymore. After the first visit he could not wait to go back and neither could I. I really could go on and on. Thank you so much! The foot zone you gave my daughter had wonderful results! She is a sweet girl with a lot to offer but growing up she has become cynical with a know it all attitude. All of that melted away after her first appointment with you. She became openly loving to me and had more patience. I was pleasantly surprised. When her new attitude wore off I knew it was time for another foot zone. Thank you so much for blessing our relationship. We have always been polite to each other but now there are wonderful feelings behind our actions. I am glad I get to start getting foot zones and feel confident it will bless many of my relationships. I have seen how much good the zone has to offer people. It has become such a powerful tool in helping people recognize things - correct thought patterns - improve energy - decrease anxiety, and release emotion that has been causing chronic pain. It has also slowly been changing the atmosphere in our home. Our teenage son has been more likely to engage in voluntary conversation, which is a BIG step for him. I love the zone and am so glad that I took the opportunity and even made the sacrifices to take this course. I thoroughly enjoyed the classes, loved getting to know my classmates, and Kathy is a wonderful instructor with a warm and giving spirit who was well-prepared and added variety to the course by bringing in guest speakers. I thoroughly enjoyed taking the 9 month Foot Zone Course. Through this new and fascinating journey I learned about the modality and how our feet are maps of our body. And when we manipulate the feet by activating the energy signals with specific and precise moves our bodies will heal and repair. I am now seeing the benefits myself as I zone others. From our anatomy studies I am now very familiar with the body systems, locations and it's functions. The class also introduced and taught me about essential oils, tinctures, healing music, herbs, healthier food, lifestyle choices, and much more. I met wonderful and talented women who I consider my friends. I can honestly say that my life has been changed for the best. I plan to continue down this healing path and learn as much as I can so that I will be able to help and bless the lives of others. The ability to serve others by the foot zone technique is a great blessing to me. I began this journey on faith. The Spirit would not leave me alone until I accepted the challenge to learn to foot zone. I am beginning to see real results. Pain relief, relaxation, emotional release and detoxification are some of the benefits reported to me after friends and referrals have given me the opportunity to zone their feet. I appreciate that the zone is a definite pattern and method but is an energy work modality. The tangible benefit of the zone and the opportunity to bring relief, relaxation, and healing to my brothers and sisters on this earthly journey is a joy. The zone works. It is real and powerful and just plain fun. The journey to certify is worth the time, sweat, stress, and dollars that are required. The benefits are great friends and increased confidence. In my massage practice, I've specialized in reflexology for 15 years. I've always believed in its benefits - I know it works. That's why I was intrigued when I heard about foot zoning. I finally had a chance to experience a foot zone and I was very impressed at how much more thorough the treatment seemed to be than what I had learned with reflexology. After questioning the owner of the school where this zoner had graduated, I was satisfied that foot zoning would be a good addition to my bag of bodywork tools. Truthfully, I have added some reflexology techniques to what I have learned to do in the zone, but that's only personal preference. The zone, as we mapped it, is a complete treatment. When I perform a foot zone on a client, I know that they are now getting the best I have to offer. This is good work. During the course, I met wonderful people; dedicated teachers, and committed students. I have already seen this work change the lives of my fellow students and can hardly wait to experience the changes this will bring to people who come to me for zoning. I was super nervous to start zoning class. But it has been a great learning experience. I am gaining so much from this class. The ladies are a blast and so is Kathy. Our meeting with Brad are unforgettable. He is one of a kind. To learn from him and Kathy is a gift. They both love what they're doing and it shows every time you come to class. These past months have not been easy. Every month I have excuses not to come, but once I'm here the made up excuses fade away and I'm always on a spiritual - emotional high when I leave class. This Foot Zone course has opened a door to a new world of taking responsibility for my own health and happiness. My relationships with family, friends, and my Heavenly Father have grown. Zoning others and helping them find balance and wholeness has energized me. I am moving beyond the challenges that have plagued me for years. This class has helped me learn how to thrive! Zone class has helped me focus on my own health and improvements I could make in my own life. I feel happier, more balanced, more at peace. I love that I can help my family, friends, and others to feel stronger and healthier. This is an amazing journey, and my life will continue to get better and better. I've always wanted to help others and now I have found my path. Foot Zone classes have helped me as a person to be more in touch with myself and how my energy affects others. There is no one class that stands out - all have had an impact on my life and will be a part of who I am and who I will become. The friendships and learning together have been priceless. I am very happy that I followed the promptings of the Holy Spirit and pursued this venture. Kathy is a wonderful instructor, she is easy to talk to and learn from. Learn about Jin Shin Jyutsu Safety Energy Lock 5. Watch a video of the Monday Evening Mini-Class and download a handout for this Safety Energy Lock. Learn about Jin Shin Jyutsu Safety Energy Lock 4. Watch a video of the Monday Evening Mini-Class and download a handout for this Safety Energy Lock. 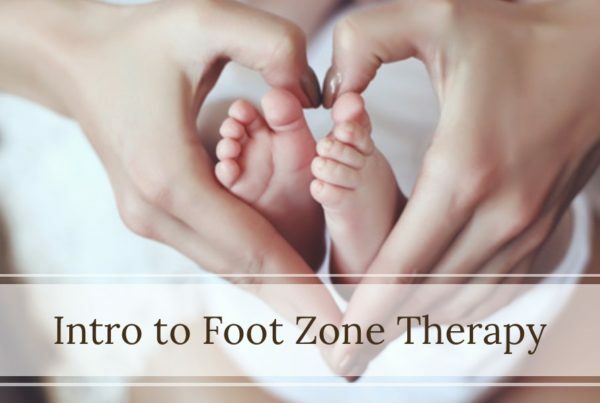 Intro to Foot Zone Therapy Workshop – Two Locations & Dates! Learn about the Foot Zone Technique in this fun, HANDS-ON, class! Two locations & dates. Come prepared to touch feet (yours)!